Telling stories to sell products is nothing new. But to move outside your comfort zone and finding different stories to tell, truly demands a brave company. 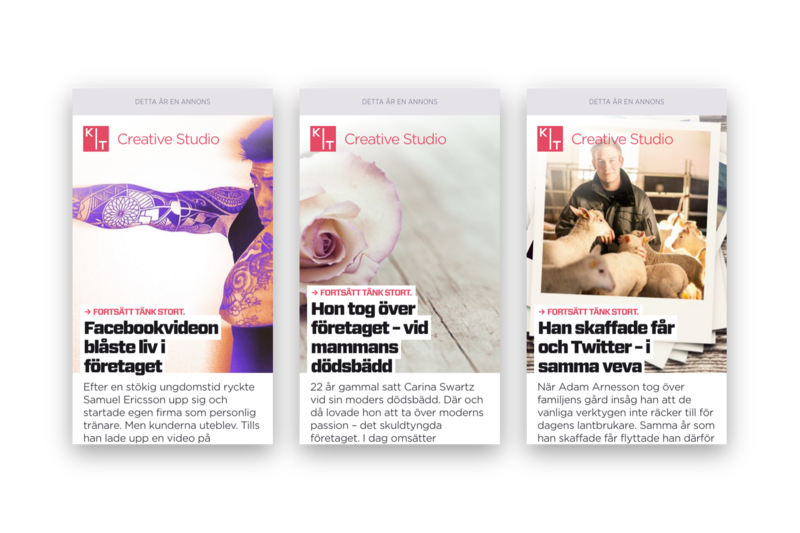 3Företag halved their cost to recruit a reader by telling better stories with KIT Creative Studio. 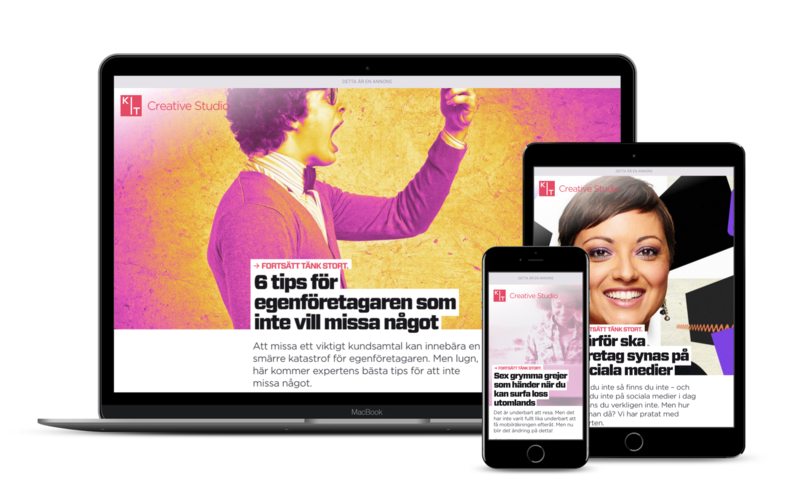 In spring 2016 3Företag launched the campaign "Fortsätt tänk stort" ("Continue to think big"). The telecom operator wanted to position themselves towards their core target group, CEOs in smaller companies and entrepreneurs, and tell them that 3Företag understands them and can help them in their busy lives, so they can focus on what they do best. 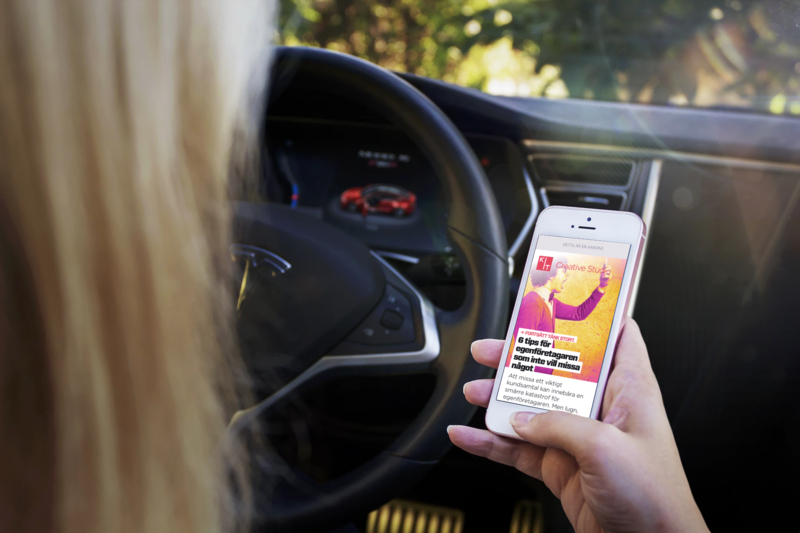 Since 3Företag is the smallest service provider in the market, their challenge was to get the audience attention. Why is it right to choose a life as an entrepreneur/someone running a small business? How do you solve problems as an entrepreneur/someone running a small business? Who can help me as an entrepreneur/someone running a small business? When we do native we always want to take a step beyond the product itself and tell another type of stories. We did this in the concept "Acknowledgement" where we portraid different entrepreneurs and told their stories. We wanted to inspire and show them what an important role they play in the society. Thorugh the concept "Answers" we could also add content that was closer to the product and keep the target group updated – and actually answer some of their questions and add something useful in their lives. During the first part of the campaign we wrote 12 articles based on our two concepts and of course on data from our content platform Story Engine. The data showed us, for example, that we should tell the stories in the concept "Answers" with a humorous tonality and an informative intent, while the stories in the concept "Acknowledgement" needed to be told as interviews with a reporting intent and a factual tonality. We distributed the campaign during 15 weeks on social media, mainly on Facebook, partly through sponsored posts straight to the target audience 3Företag had specified, but also through branded content-posts on KITs own Facebook page. Some of these posts went viral. 3Företags cost to recruit a reader was halved compared to similar marketing acitivities.